I am not much of a jewelry person. I buy them at times but I end up not wearing a single piece - no rings, earrings, necklaces, anklets or bracelets. However, I have an upcoming event and I need a necklace and matching earrings. I saw some at the Swarovski store but I just can't spend that kind of money. 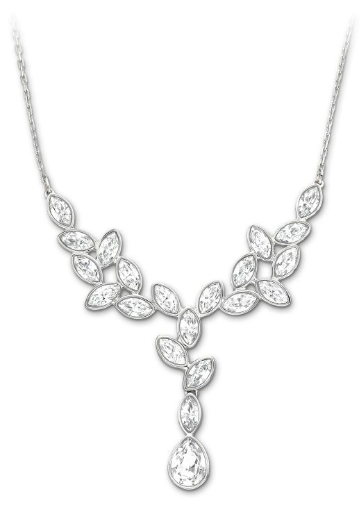 I would love this, a Swarovski Tranquility Necklace. But ended up with something much cheaper and not Swarovski.